So simple yet so genius. Dual flush has been the norm in Europe for a long time and now its taking over the US. If only saving fuel was this simple. Dual Flush. So simple yet so genius. This has been the norm in Europe for a long time and now it's taking over the US. If only saving fuel was this simple. Dual Flush- so simple yet so genius. One button for solid waste (1.28 GPF) and one button for liquid waste (0.8 GPF). If only saving fuel was this simple. Enjoy a sleek, solid European design. 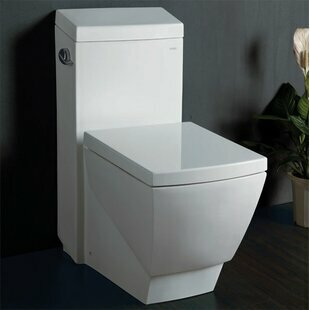 Not only does it look so much better than your old toilet, it also works a whole lot better. Dual Flush. So simple yet so genius. One button for solid waste (1.28 GPF) and one button for liquid waste (0.8 GPF). The trap ways of EAGO toilets are perfectly glazed just as they are on the outer surface, keeping your toilet flushing like new for years. Enjoy the luxury and durability of an EAGO high-efficiency dual flush toilet while saving hundreds of gallons of water a year! Make an effort to save EAGO earth’s precious resources without compromising on quality or modern esthetics. Enjoy a sleek solid European design. 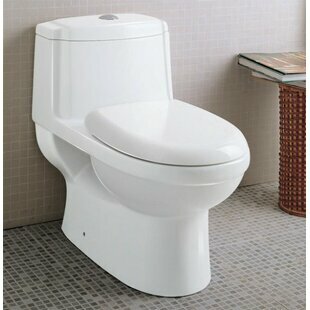 Not only does it look much better than your old toilet, but it also works a whole lot better. 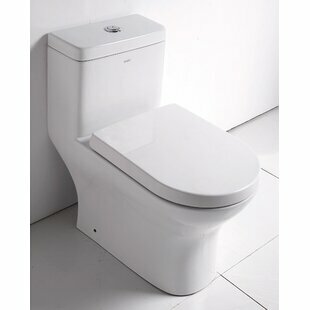 The trap ways of EAGO toilets are perfectly glazed just as they are on the outer surface. Keeps your toilet flushing like new for years. 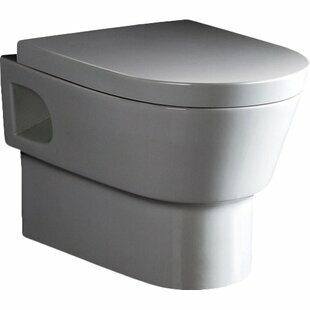 You've come to the right place to shop for EAGO toilets online. If you know you are looking for EAGO products, your search is refined and almost ready! At Wayfair, you will find the best prices for all the major brand names you can choose from. 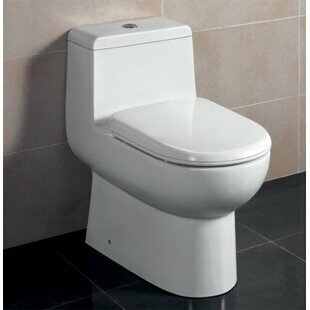 We want to make sure when you shop for toilets, your experience is seamless. 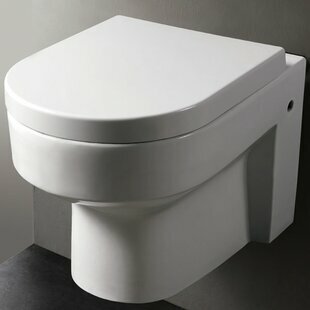 If questions come up about a certain 1.28 GPF Elongated One-Piece Toilet (Seat Included) when shopping on Wayfair, you can call us for more detailed information. 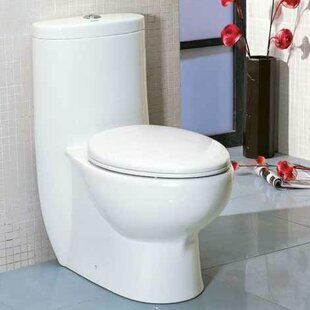 We have a qualified customer service team ready to speak about toilets in addition to the amazing deals. 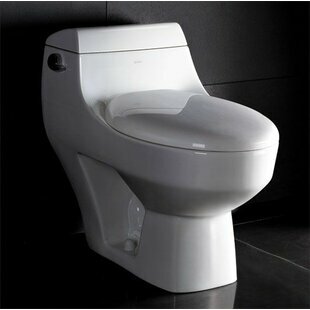 There's never a better time than now to live in a home you love with a Tall Dual Flush Elongated One-Piece Toilet (Seat Included) made by EAGO.